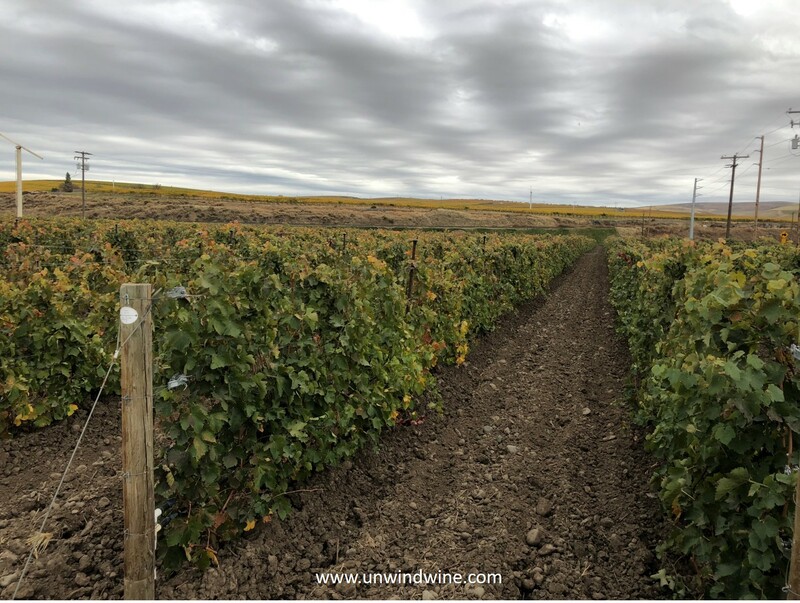 One of the inspirations for and objectives of our Walla Walla Wine Experience 2018 was to visit Force Majeure vineyards. 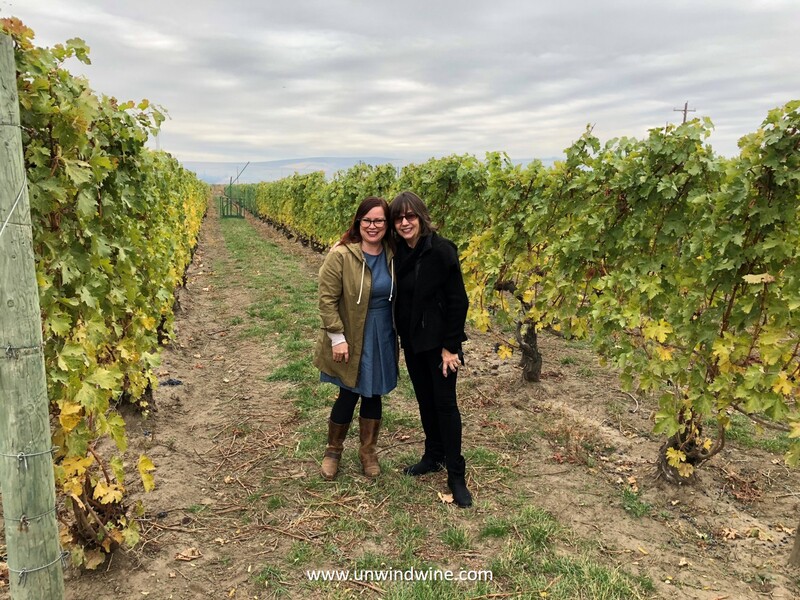 We first met Force Majeure winemaker Todd Alexander and marketing, distribution and branding exec Carrie Alexander during the Chicago stop of their promotion tour in 2016 when we hosted them at Italian Village in Chicago. Since then we've acquired a respectable collection of Force Majeure wines, hence, they were one of our shortlist priority visits when we planned our Washington State, Columbia Valley wine trip. 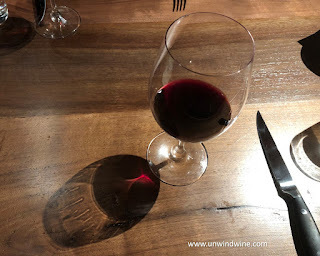 Following our Woodinville (Washington) tasting experience where we tasted several fabulous Red Mountain AVA wines, we were targeting there for our first Washington State wine appellation visit. 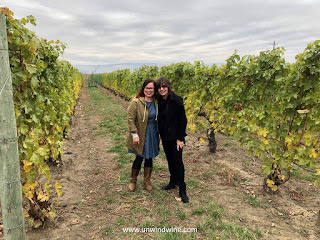 Carrie convinced us to visit Walla Walla and we followed her guidance and were amply rewarded as it was a spectacular wine travel experience. 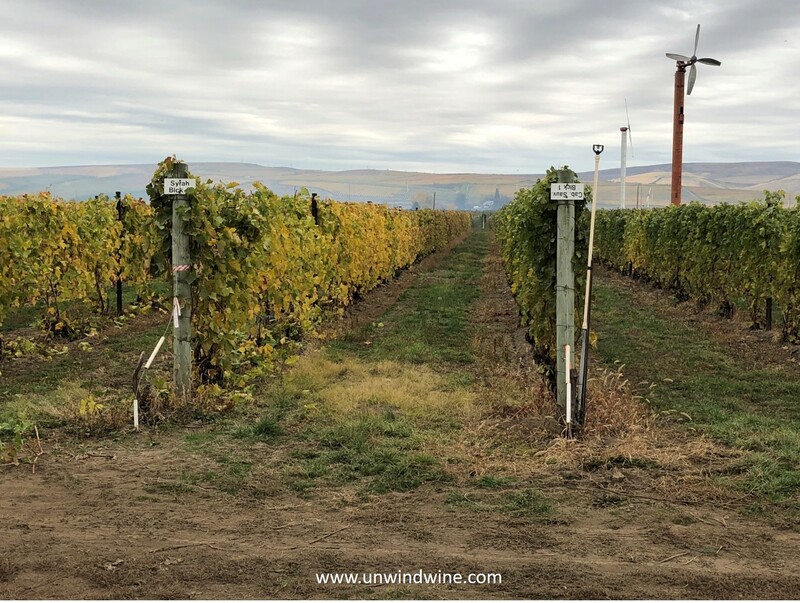 Our Walla Walla AVA visit provided the opportunity to visit a vibrant wine region, meet some legendary winemakers on the Washington wine scene, and still experience the best of Red Mountain appellation wines as well! 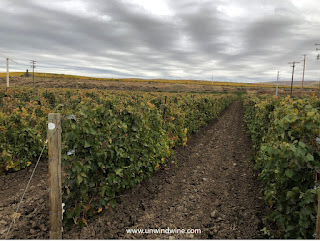 Force Majeure have vineyards in the Red Mountain AVA where they grow Rhone varietals on the upper slopes and Bordeaux varietals on the lower blocks of the site. 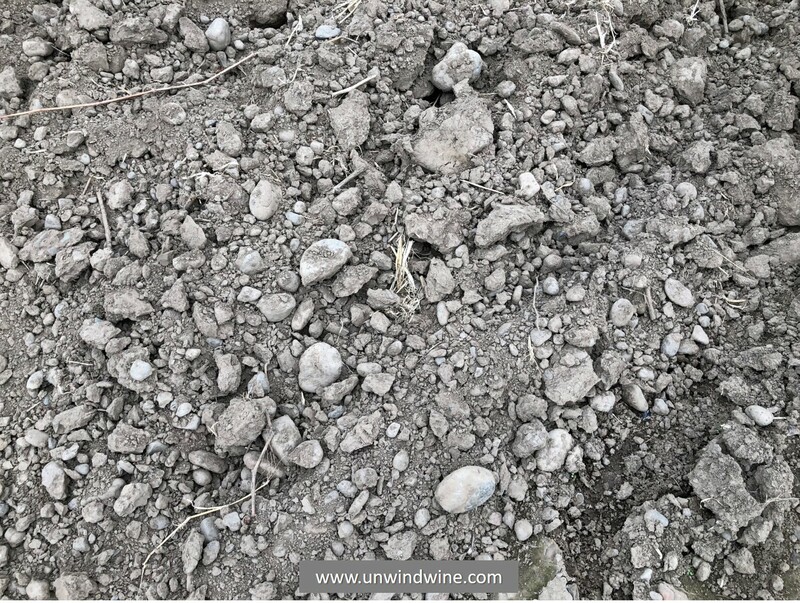 According to Carrie, the varietal blocks are based on the selection and matching of the grape varieties to the appropriate soil composition in the eight different soil types on the site. The Red Mountain site was the very first vineyard on the steep, rocky upper slopes of Red Mountain. Developing the Red Mountain estate vineyards involved carefully matching varietal and clonal selections and vineyard trellising and irrigation to the eight distinct soil types in the vineyard. The site was formed by the ancient Missoula floods, winds and volcanic activity resulting in many small “micro-blocks,” each uniquely suited to specific grape varietals. The rocky upper-slope with shallow soil is well suited to the cultivation of Rhone varietals such as Syrah and Grenache, while the lower blocks of the vineyard are comprised of deep, well-drained Warden soils, where Bordeaux varietals such as Cabernet Sauvignon, Merlot and Cabernet Franc excel. Force Majeure recently acquired a small vineyard in the Walla Walla Valley. The site is within the boundaries of the The Rocks District of Milton-Freewater AVA, just across the Oregon side of state line border. The portion of the vineyard outside The Rocks District is within the borders of the Walla Walla Valley AVA. 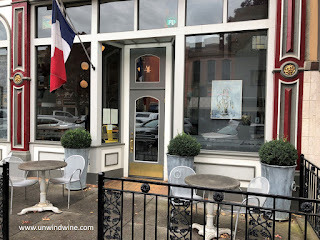 The Rocks District is named for the rocky deposits left by the Walla Walla River where the river exits the foothills of the Blue Mountains and enters the Walla Walla Valley. 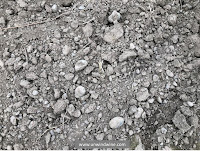 It resembles the gravelly soil of the Southern Rhone River Valley in Chateauneuf du Pape. The Rocks District of Milton Freewater is the country’s newest AVA. Wine Spectator calls this AVA “perhaps America’s most distinctive example of terroir." 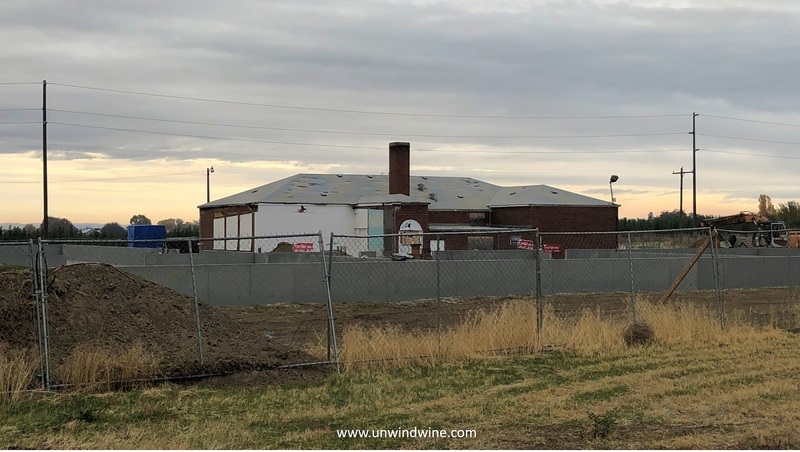 Force Majeure are building a new winery and tasting room facility in an old historic renovated rural schoolhouse and an adjacent wine-making production facility on the Estate site. They are scheduled to be open and operational next year. Force Majeure also source grapes from select blocks of a thirteen acre vineyard of SJR Vineyards (left) just down the road which are owned by Delmas Vineyards and managed by Brooke Delmas Robertson. The SJR Vineyard is located on the corner of Lower Dry Creek and County Road in Milton-Freewater, at the SW corner of ‘The Rocks District’. The site is planted in Rhone varietals Syrah and Grenache. 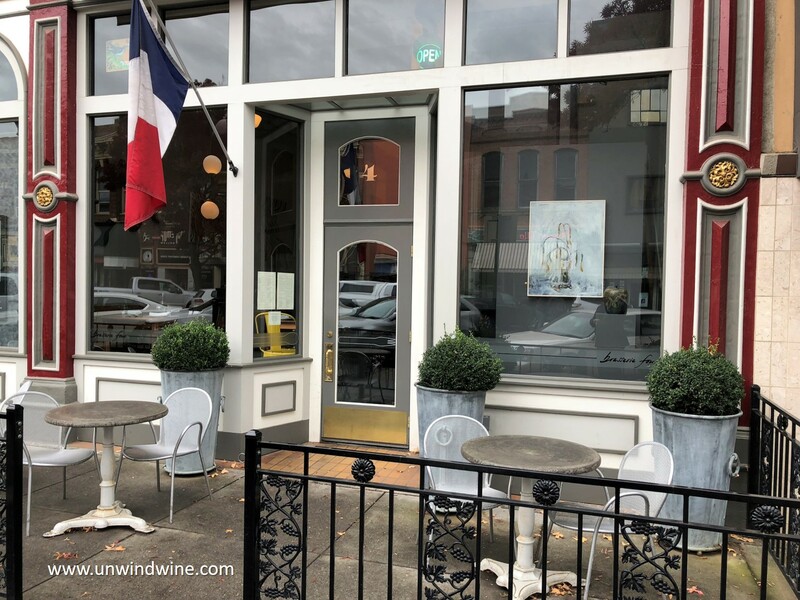 After touring the vineyards and winery site we dined at Brasserie Four French Bistro in downtown Walla Walla where we tasted a flight of Force Majeure wines. 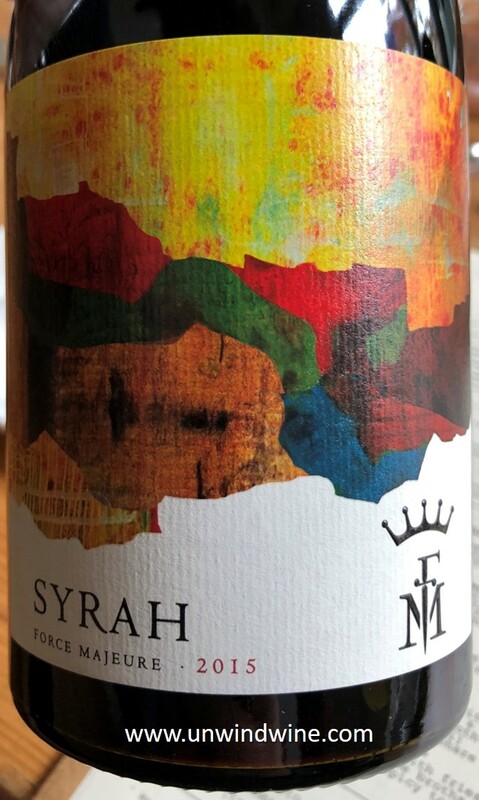 This is 100% Syrah sourced from the steep rocky sections of the top of the Red Mountain hillside vineyard. Dark garnet colored, full-bodied, rich concentrated black berry fruits, hints of blue fruits, accented with layers of smokiness, minerality and tones of anise, black tea, black olive tapenade and hints of smokey meats, with bright lively acidity and cloying but approachable tannins on the tangy lingering finish. 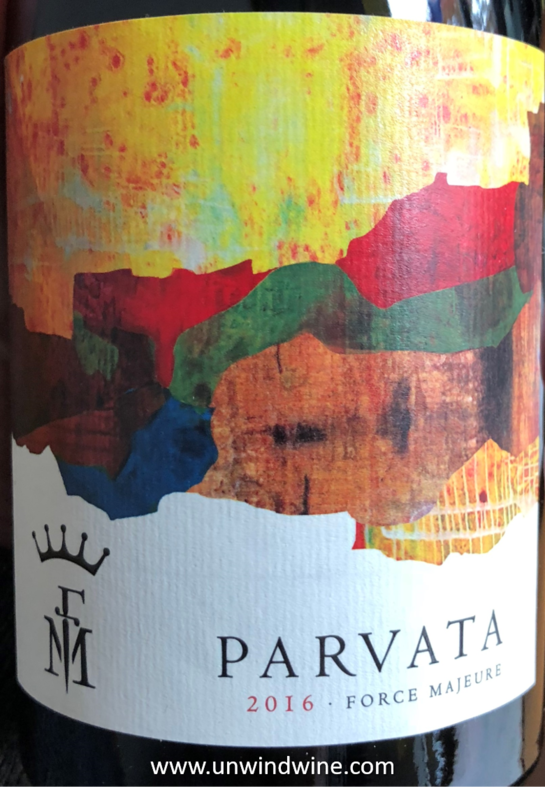 Parvata is a blend of 69% Mourvèdre, 21% Syrah and 10% Grenache, 100% sourced from the Force Majeure Red Mountain Estate vineyard. 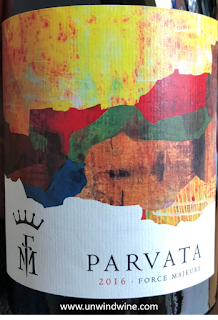 Parvata means “mountain” in sanskrit, and hence is the name for Force Majeure's southern Rhône style blend, grown in the sandy, loamy soils of the lower section of the Red Mountain vineyard. Dark garnet colored, medium bodied, this is black fruits accented by white pepper and tones of dried herbs with bright lively acidity. Dark garnet colored, medium full bodied, complex but smooth and polished with bright lively forward blackberry fruits accented by notes of anise, hints of dark mocha, spice and subtle tones of pain grille' and soft spicy oak with silky smooth tannins on the lingering finish. This is a blend of 96% Cabernet Sauvignon, 2% Merlot,1% Cabernet Franc, 1% Petit Verdot. 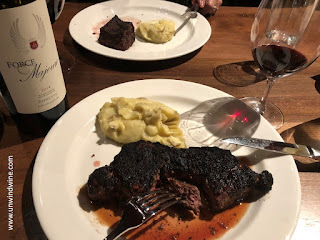 Later we dined at the brand new just opened Walla Walla Steak Company Depot Restaurant where we enjoyed Force Majeure Épinette Red Mountain Bordeaux Blend. Épinette is Force Majeure's Right-bank Bordeaux-inspired blend, and was named after an avenue in Libourne that leads to Pomerol and Saint-Émilion, the home of Merlot and Cabernet Franc. Épinette is also the name of a musical instrument akin to a piano, as well as a word for pine tree, which is a fitting nod to the locale's in Washington state. Épinette is a Bordeaux blend in the 'Right Bank' style meaning it is primarily Merlot and Cabernet Franc, with smaller amounts of Cabernet Sauvignon and Petit Verdot. The blend for this 2014 vintage was 58% Merlot, 22% Cabernet Franc 15% Cabernet Sauvignon and the remaining 5% Petit Verdot. The Merlot and Cabernet Franc are grown in the lower areas of the Red Mountain vineyard with its deep, well-drained soils. The wine was aged for approximately 22 months in mostly new French oak. The Force Majeure Épinette was the perfect complement to our aged prime steak dinner, perfectly prepared 'Pittsburgh' style, served with mashed potatoes. Dark garnet colored, medium full bodied, bright vibrant forward black berry, ripe black raspberry and black current fruits with notes of cigar box, mocha chocolate, hints of leather, anise, graphite and spicy oak with gripping but approachable silky tannins on the lingering finish. The Force Majeure Rhone wines were perfect complements to the Provencale bistro foods of Brasserie Four. The Rillettes porc et de Canard, 'Pork shoulder & duck breast preserved in lard with Juniper berry & sage', was authentic and very interesting, crying for and ideal for with a sophisticated wine accompaniment such as the Parvatta GSM. 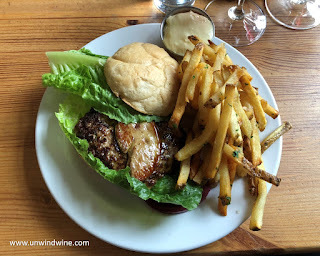 I had the very unique lunch entree selection, 'Vermont duck breast burger, Hudson Valley foie gras on a Kaiser roll, served with fries'. This was exotic and obscenely rich, an interesting culinary experience, not for the feint of heart. The Foie Gras accompaniment was fabulous and ideally suited for the big Syrah and the more complex and polished Cabernet.